Japan is renowned for its unique cuisine with each region having its own delicacies and seasonal recipes; for the uninitiated it can be a bewildering experience to navigate this culinary labyrinth to say the least. But if you’re travelling through the beautiful Kunisaki Peninsula, help is at hand. Paul Christie, CEO of Walk Japan, knows this part of the country intimately, and recommends these seven seasonal and specialty dishes you just have to try when travelling through this beautiful corner of the country. 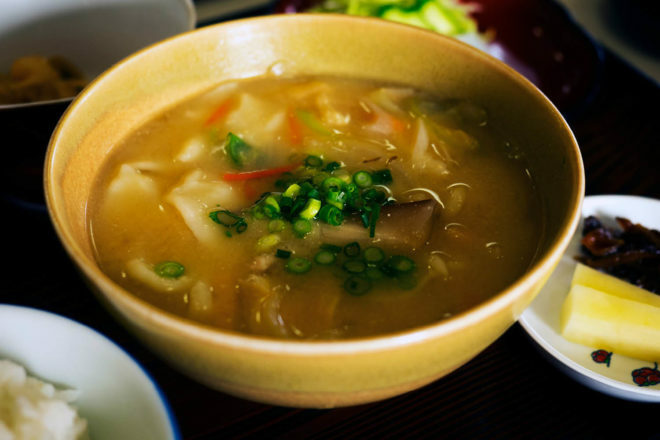 A simple yet filling and delicious dish of kneaded, thick wheat noodles cooked with sliced shiitake mushrooms, onions and carrots in a miso soup. Go to Kaya-no-ki, a minute’s walk from the beautiful Fuki-ji temple in Bungo-Takada, where the noodles are home-made and the other ingredients sourced from local farmers. The same noodles used in Dango-jiru but covered in sweetened kinako flour – finely grounded roasted soya beans – eaten as a simple snack or for dessert. Ideal with coffee or green tea. Apparently it’s been a local favourite since the Heian Period (794-1185). 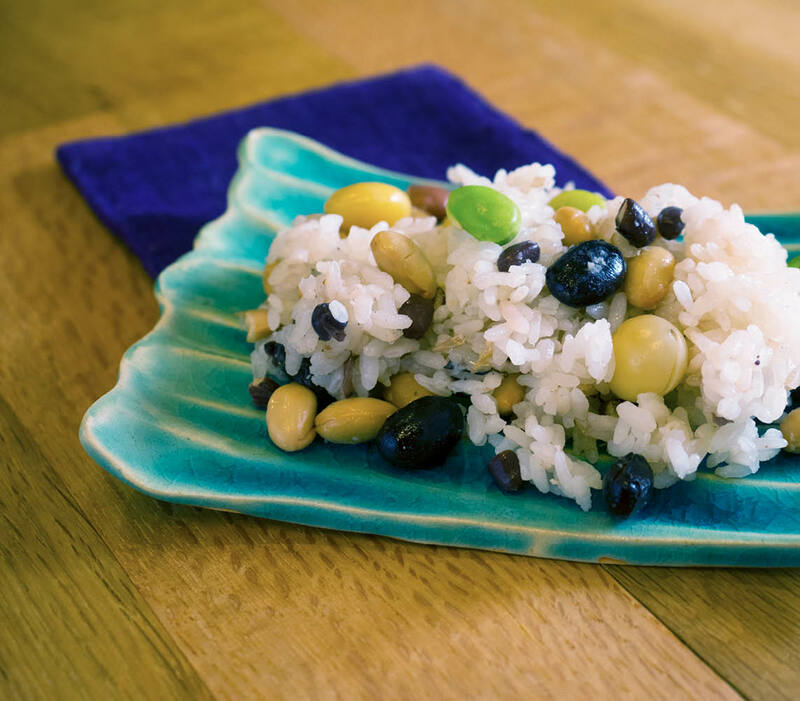 Rice cooked with chestnuts, ginkgo nuts and five kinds of beans: soya, black soya, green soya, adzuki and pinto. This dish is unique to Oita village in the middle of the Kunisaki Peninsula, where it is available at Yume Nobori run by the effervescent Hata san who also created Otakara-meshi. Wagyu is the generic term for Japanese-style beef of which Matsusaka and Kobe beef are the most well-known and expensive. Bungo-gyu, Oita’s top grade of beef, is little-known outside its locality, however it easily matches the famous brands and is much cheaper. Its rich flavour is best sampled in finely cut, lightly grilled slices with roasted vegetables or a salad. Found throughout Oita. 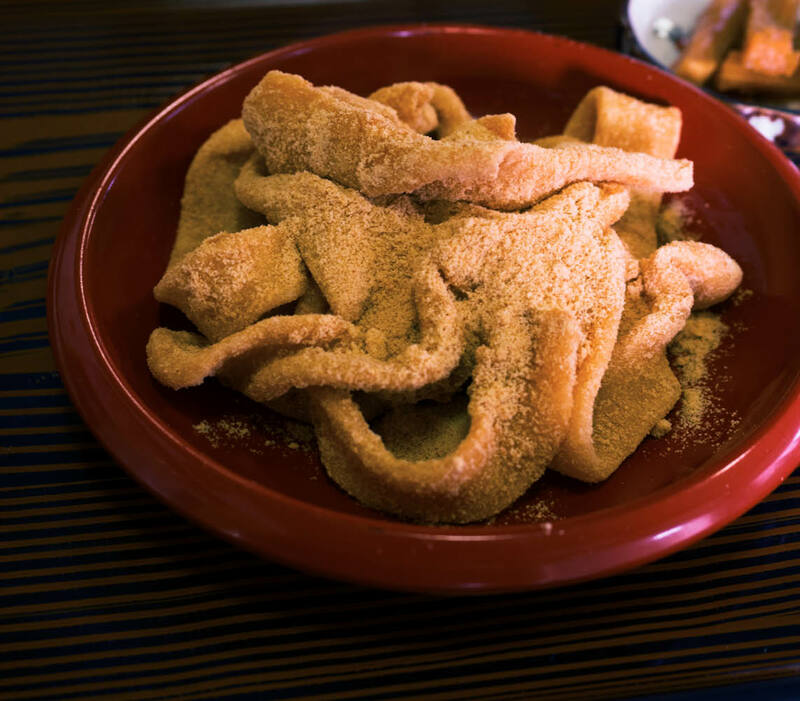 At Fuki-no-to it is a staple of their excellent home-cooking. Japan’s other staple drink is shochu, a refined vodka-like beverage that is made from a variety of sources including sweet potato, molasses and rice. Oita is renowned for its wheat variety and has a number of large and many small, boutique distillers of which Kanehachi one of the most prized. Enjoy it the local way on the rocks with a squeeze of kabosu citrus or, in winter dilute with hot water. Available at Tashibu-no-sho, one of the best wine merchants in Japan. Kabosu, along with shiitake mushrooms, is a signature food product of Oita. It’s refreshing aroma and sour flavour enhance the taste of a variety of dishes such as raw and grilled fish, miso soup and shochu. Yuzu is used to produce a local condiment, Yuzu-gosho, a spicy paste that adds a flavoursome kick to many soups and dango-jiru. A hot noodle dish heralding from the city of Beppu. The noodles, which are made from soba buckwheat flour, have an al dente bite and are served in a clear broth topped with slices of well-seasoned beef, half a boiled egg, kimichi, Korean-style sour and spicy cabbage, and sesame seed. Found in a number of specialist restaurants in Beppu, at Kirin-tei the noodles are created in front of you.